The showcase has been conceived, designed and tested for the display of baked pastry products, brioches, croissants, muffins. Particular attention was paid to the design, in order to obtain an article that can enhance both the setting in which it is installed and the product displayed. • The structure is made of 0.8 mm thick stainless steel sheet with a glossy finish. Particular care is taken to remove the processing burrs. • The heating is obtained with a stainless steel armored resistance, controlled by a 30/90 ° C thermostat and indicator lamp. Complete the electrical system a light switch and a plug-in cable with plug. 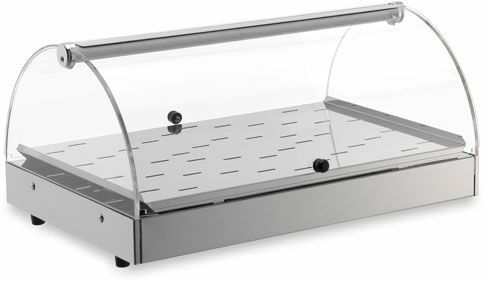 • A sealed stainless steel water drawer, allows to humidify the display case and to avoid drying the exposed products. • The sides are in shockproof extruded Plexiglas, transparent, 6 mm thick. • The doors are in 3 mm thick cast plexiglas, formed on a mold. They are placed on the two fronts, thus obtaining the possibility of accessing both the service side and the customer side (for self-service use). To the doors are applied stainless steel profiles obtained by molding, which allow a perfect hooking to the pins of the hinges. 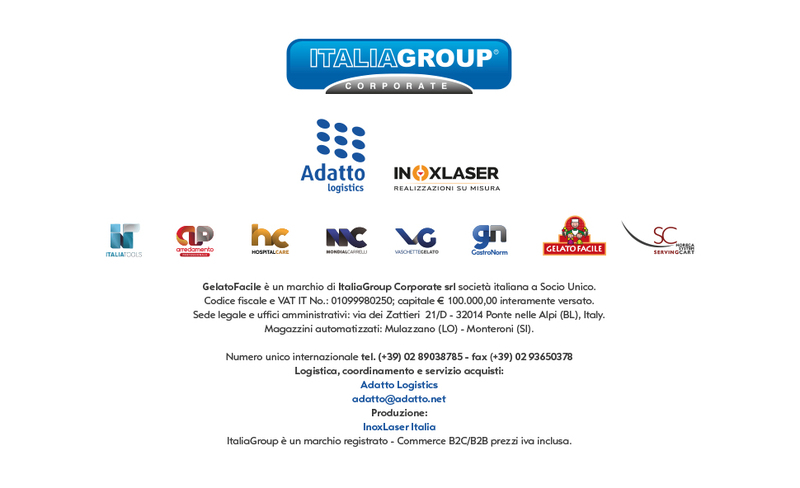 • The sturdy hinges to which the doors are applied, which are our exclusive concept, allow the total opening of the door.